Did your motorcycle suffer damage due to an accident? It may be worthwhile for you to consider a minor damage lawsuit. 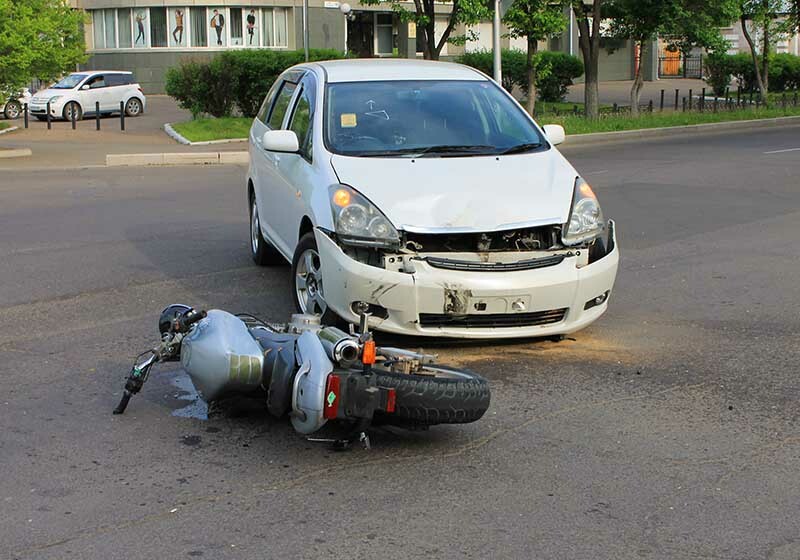 When you are involved in an accident, even a minor one, it’s difficult to determine how damaged your motorcycle is and the extent of your injuries. After all, adrenaline was likely coursing through your veins at the time. Zirkin and Schmerling is a leader in Maryland in auto accident law and can help you obtain the money you deserve. Never assume you don’t have a case, no matter how minor the damage may seem. A minor accident can still result in significant long-term health problems for you. Helmet or no helmet? You have to wear a helmet in Maryland. If you are involved in an accident and didn’t have a helmet on, insurance companies will try and shift the blame on you by arguing the injuries could have been prevented. Were you wearing other protective gear? Clothing accessories like kevlar gloves, jackets, and pants provide you with additional protection. While it isn’t the law to wear this equipment, it’s important to establish how your potential injuries occurred. Did you have a valid motorcycle license? Motorcycles require specialized licenses to operate. Failing to have a valid motorcycle license will reduce your chances of success in a lawsuit. Did you maintain your motorcycle? Keep track of any maintenance receipts you have. You want to show that you properly maintained your bike and that the accident itself caused damage to you or your bike. How did the accident occur? Write down a detailed account of how the accident occurred. Include specific times, actions, and anything that will help you establish credibility. If you called the police, most of this information has been documented in their official report. In the case that you only exchanged information with the other driver, you may need to file a police report after the fact. Did you take photos? Even the smallest scrapes and scratches can lead to large repair bills. It’s always best to take photos of the accident, but sometimes you may forget in the heat of the moment. If you feel like you need some legal help, contact our Motorcycle Accident Law attorney to schedule a free case evaluation today. A successful case will show that the other party failed to look for you properly, violated traffic laws, and failed to use all reasonable means available to avoid the accident. If you can establish that you are notat fault, you may have a strong case. Whether you are injured, or your motorcycle is damaged, you just want your life to get back to normal. Zirkin and Schmerling Law is here to help you make sense of traffic laws so you can receive the compensation you deserve. Contact us today at 410-356-4455 to schedule your free, no obligation consultation. We will explain all of your options and help you determine if you have a legitimate case.